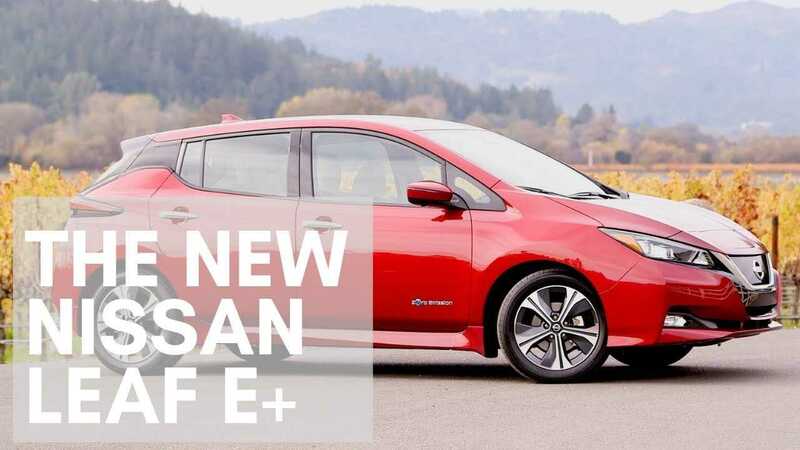 Here is a short summary of what we know about the upcoming Nissan LEAF e+ (with a comparison to the current version that will remain on the market), released by Sean Mitchell. Worth watching for sure, but don't expect any new news if you've already tracked all of our reports from CES. The e+ (62 kWh) seems to be a really big improvement over the (40 kWh) version in terms of range and performance (higher power motor), but it brings a big surprise about the battery, which is not only produced by Nissan's AESC (most of us expected LG Chem), but also still didn't get liquid a cooling system. It's especially strange because of previous experience with Nissan's batteries in hot climate and because the bigger and more valuable the battery is, the relatively smaller the cost of the thermal management system. When I asked them about any change in their battery supplier, thinking they had made some improvements on that end, the spokesperson said there was no change to the supplier and Nissan will continue to use AECS. Here’s my take on this, I’m extremely optimistic about the additional range and improved charging speeds on the e+. This makes it a viable option for more people, especially people who drive further distances."